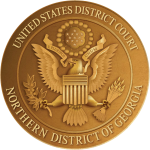 Beginning on June 18, 2018, the Northern District of Georgia will increase the permitted size of individual electronic files uploaded to the Court's CM/ECF system from 20 MB to 25 MB. This change will reduce instances in which a single, inherently large document, such as a transcript, must be separated into multiple parts. Despite this increase, all users are strongly encouraged to electronically decrease the size of their filings as much as possible. Information on PDF files and scanning tips that will assist in this process can be found here. Appendix H to the Local Rules has been revised to reflect this change as well as the elimination of the paper Attorney Registration Form and can be found here.